It has been exactly one year since we began our journey as authors. And when two women tell the story about the #1 PC company in the world, it creates interesting conversations and responses. 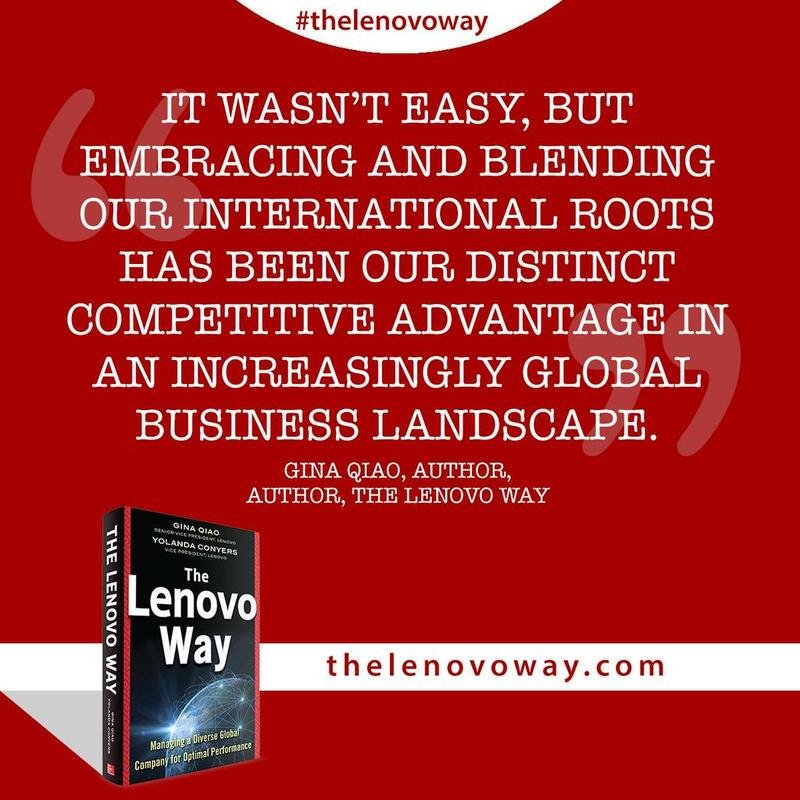 One response we have been pleased and surprised to see is how The Lenovo Way: Managing a Diverse Global Company for Optimal Performance is being well received by audiences across the globe. In fact, we recently published a version in Chinese; and last month we learned our story would be available in Indonesian and Russian later this year. Wow! 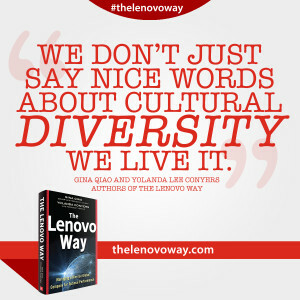 When we have an opportunity to share with a live audience the story about our ups and downs personally, and at work for Lenovo, we often are questioned about how we as women can compete in a predominately male industry. Women do better when we mentor each other. 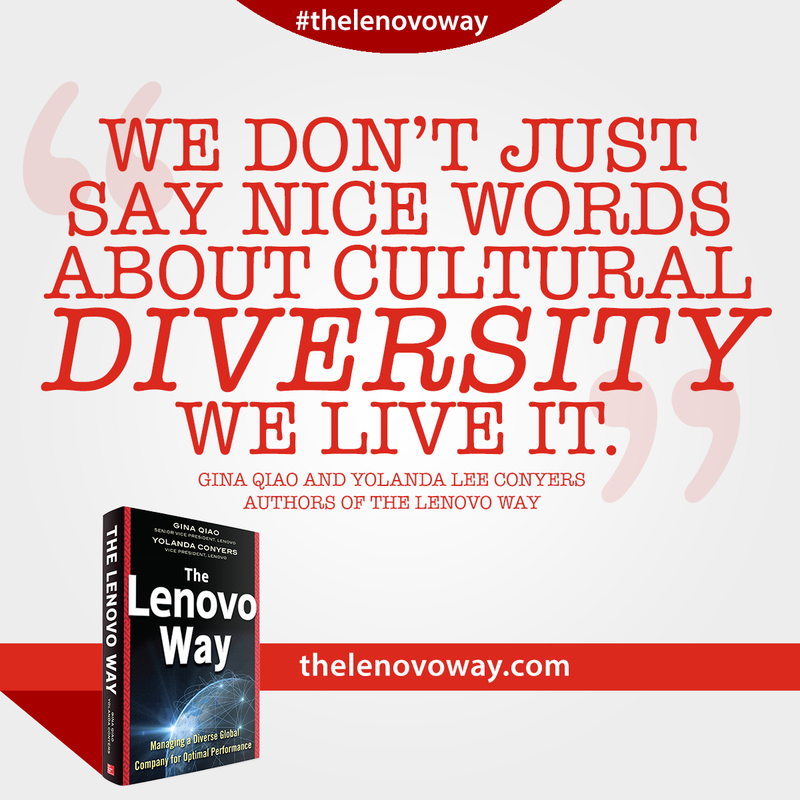 Central to the story of The Lenovo Way is about how two women helped each other manage the difficulty of living on different continents and learning to navigate cultural dynamics and office politics, while being effective leaders at work. We learned that if we were open, vulnerable and willing to learn from one another, we could mitigate failures and support each other’s success. Feedback is a gift. 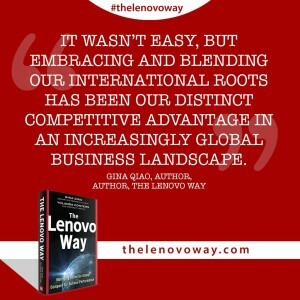 We had to learn how to overcome the clashes and friction of bringing together very different business cultures. Women must learn to take criticism and advice from peers and bosses in order to grow in our careers. We all have blind spots and things to learn that can help us be a success at work. When we listen to the input then we can decide what to act upon immediately and what we need help implementing without feeling offended or belittled. Learn to lead from a global perspective. It is cliche to say nowadays that we live in a global world, but the real key in the global economy is to be able to lead people who think and behave differently than we do. As women, we can gain the respect of our colleagues and nurture a successful career if we focus on how to interact with people who are different from us — and how we can inspire their choices. Next PostTaking care of myself means taking time away from work — and not feeling guilty about it.